The Village of Matteson, IL entered the motion to appoint a Receiver to protect the public and preserve the value of the Lincoln Mall, a partially demolished regional mall in south suburban Chicago. In addition to significant life safety code violations, the owner of the mall was delinquent in payments to vendors, suppliers, taxing agencies and municipal authorities totaling over $12 million. The Property entered Receivership under the jurisdiction of the Cook County Municipal Court for the purpose of: 1) conducting life safety repairs for the safety of the retailers and shoppers, 2) directing the funds generated by the Property into repairs and proper payments to vendors, and 3) raising funds to pay for the remediation of the code violations. The Lincoln Mall is a 1970’s era, functionally obsolete structure consisting of four anchor stores connected by an interior mall with small shop space. Two of the four anchors, Montgomery Ward and JC Penney are torn down, as is part of the interior mall structure. The Carson’s and Sears anchor stores remain, but only Carson’s continues to operate and the Sears store is closed. The interior shop space is mostly vacant, with less than 20 stores in operation. 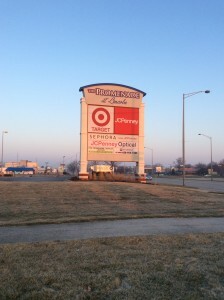 The Property is also responsible for maintaining the mall ring road that services numerous out-parcel buildings and two big-box stores, Target and JC Penney. Collateral Trustee, Inc. (CTI) established a 3-phase plan to conduct life safety repairs and raised funds in the form of a $210,000 Receiver’s Certificate to pay for Phase 1 and 2 of the project. Phase 1 and 2 included repairs and construction of new exits to provide proper egress for the existing tenants and customer. Phase 3 of the project was not to be completed by the Receiver. If the Mall structure is retained for future re-development, Phase 3 will then be addressed by the new owner/developer. Record cold temperatures and snow fall in Winter 2013/14 created a deficit in the operating budget in excess of $500,000. CTI negotiated continued electric utility service and partial payments to vendors and suppliers, and also raised $550,000 in additional CAM payments to bridge the deficit. Additional emergency responses include explosion in main transformer switchgear and a water main failure that both resulted in after-hours repairs and temporary Mall closures. CTI oversaw two successful tax appeals resulting in total actual cash obligation savings in excess of $2 million. CTI engaged legal counsel and oversaw an EEOC discrimination claim mediation that resulted in a positive settlement with no financial payment or penalty.